Susana Malcorra was Argentina's Foreign Minister until May 2017. Former foreign minister Susana Malcorra. Foto:AFP. 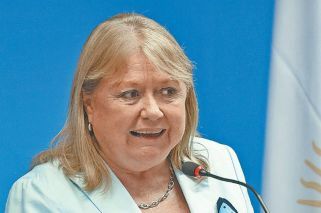 Argentina's former Foreign Affairs Minister Susana Malcorra has questioned President Mauricio Macri's organisation and leadership of government. "The President took a decision to organise [the State] in a very horizontal way, to have a large amount of ministers, which made the articulation of work very difficult", she told the LN+ online news channel. "The initial work method had a very business-like vision about the creation of work teams, and the State is not a business", Malcorra said. "You can take some best practice but the management style in general must have distinct qualities", she added. Malcorra quit the post in May 2017, citing "personal reasons". Her posting as Foreign Minister was seen as part of broader efforts to secure her the United Nations Secretary General's Office, which ultimately failed. The experienced diplomat also had some surprisingly frank commentary on Brazil, which goes to the polls in a run-off presidential vote between Jair Bolsonaro and Fernando Haddad on October 28. "Any inclination of such a hard, severe, and I would say backward vision, is very concerning", she said, referring to the prospect of hard-right candidate and favourite to win, Bolsonaro, taking office. "The impeachment against Dilma Rousseff was a legal process but no a legitimate one, and I think that made the respect and trust of [Brazilian] society in its system break even more".